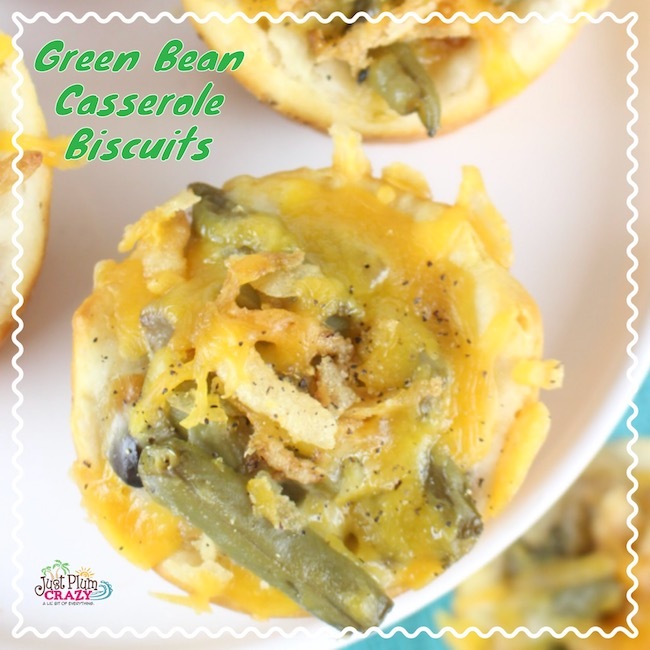 Green Bean Casserole Biscuits Recipe | Be Plum Crazy! 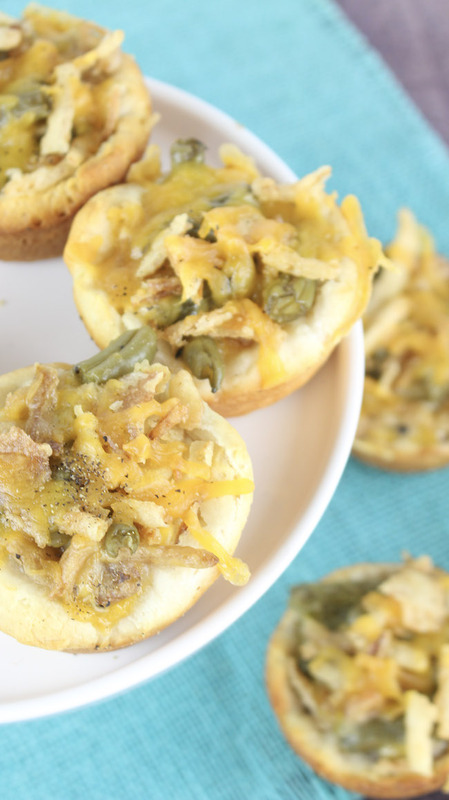 The Green Bean Casserole Biscuits Recipe is brought to you by Just Plum Crazy. 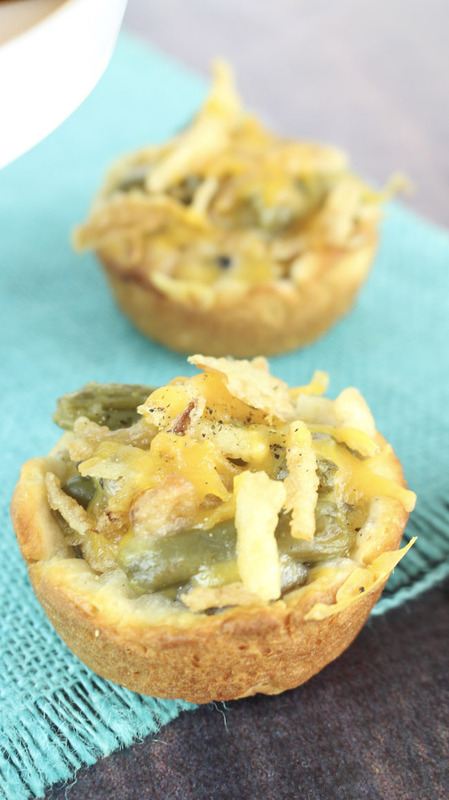 Green Bean Casserole Biscuits Recipe! 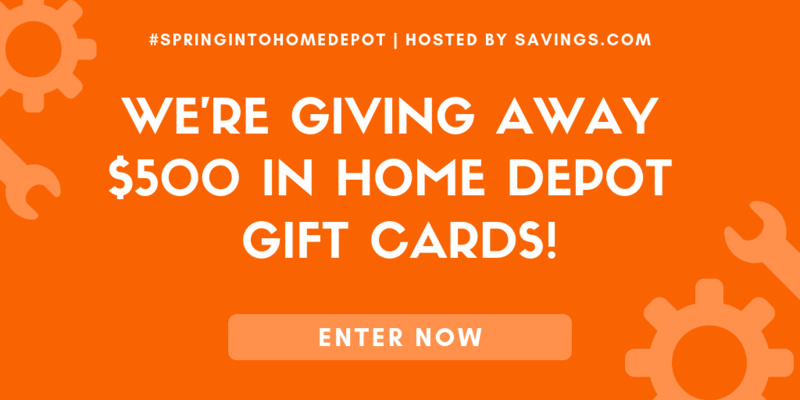 Who doesn’t love a good green bean casserole? How about one with a twist? 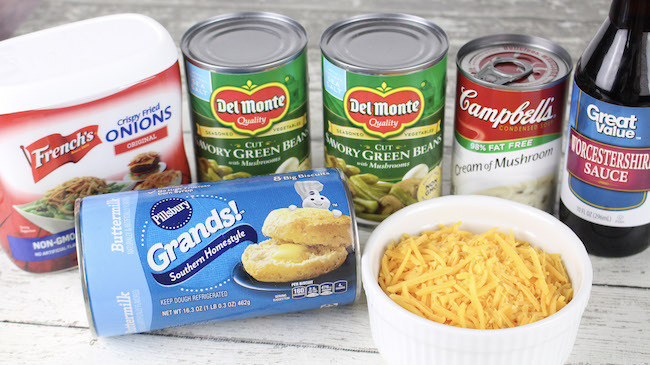 Well, in honor of National Bean Day we have an awesome Green Bean Casserole Biscuits recipe for you. A grab and go type recipe. One thing I always forget when making dinner on a holiday is the rolls. And when I do remember to make them, there is always a bunch left over. This recipe kills two birds with one stone. Be sure to check out our Crock Pot Kale, Sausage and White Bean Soup recipe that we shared a little earlier today. 1. Preheat oven to 375°. 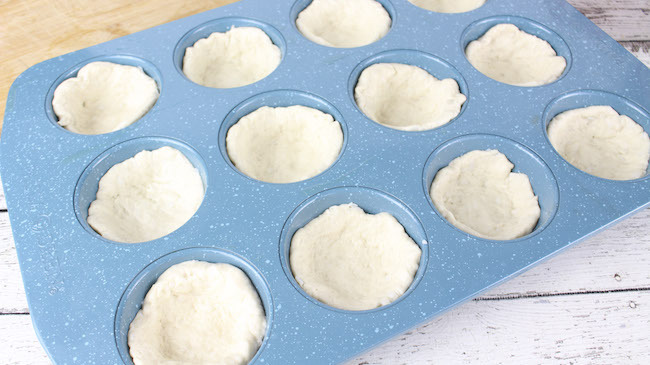 Spray 16 muffin tins with a nonstick coating spray. 3. 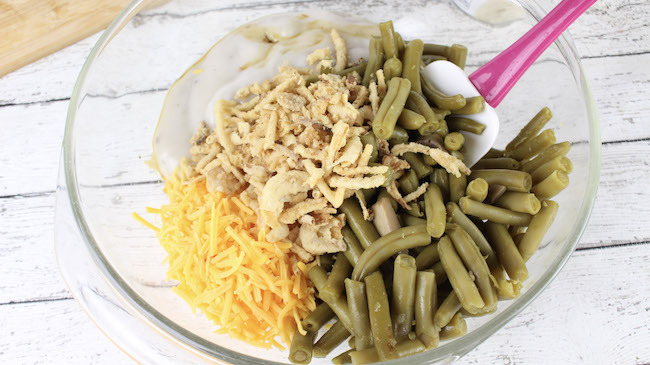 In a large mixing bowl, add the green beans, soup, 3/4 cup of the crispy fried onions and 1 cup of the shredded cheese. Mix well to incorporate all of the ingredients. 4. 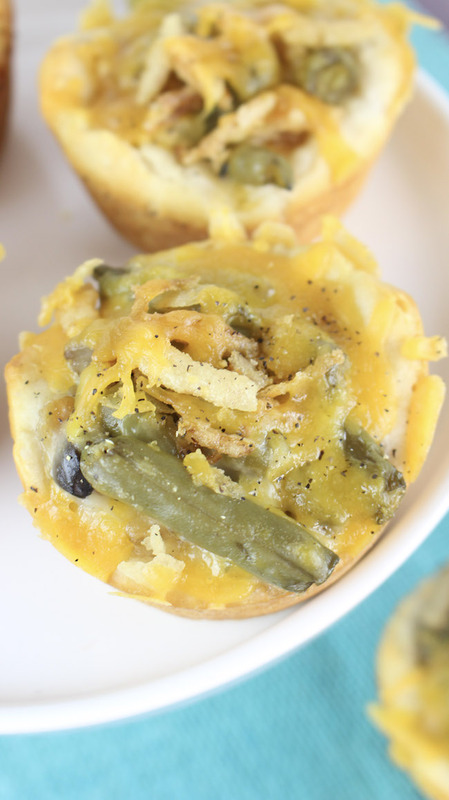 Spoon the green bean mixture into the muffin cups, filling up to the top of the biscuit dough. 5. Bake for 20 minutes or until the biscuits are a light golden brown. 6. 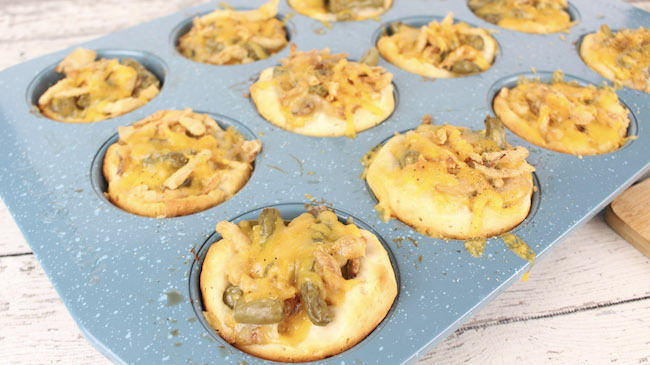 Remove the muffin pans from the oven and sprinkle with the remaining shredded cheese and crispy fried onions. Add a sprinkling of pepper on top. 7. 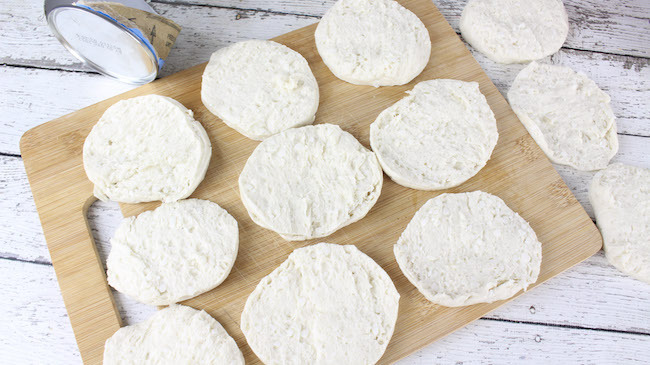 Bake for an additional 3-4 minutes or until the cheese is melted. 8. Serve warm and enjoy!! Preheat oven to 375°. Spray 16 muffin tins with a nonstick coating spray. Remove the biscuits from the can and separate each biscuit in half. 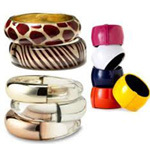 (Just separate them between the layers). Place each piece in a muffin cup and press down on the bottom and up the sides to form a "cup." 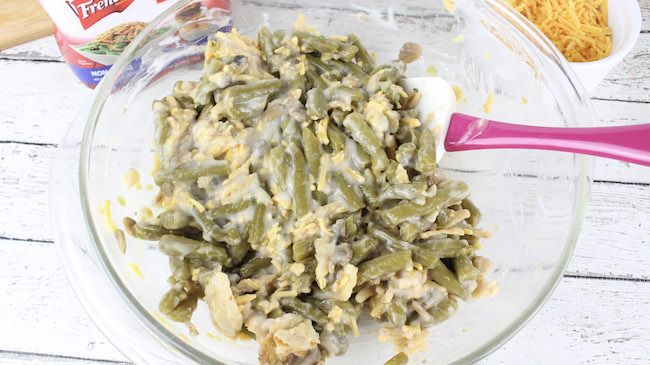 In a large mixing bowl, add the green beans, soup, 3/4 cup of the crispy fried onions and 1 cup of the shredded cheese. Mix well to incorporate all of the ingredients. 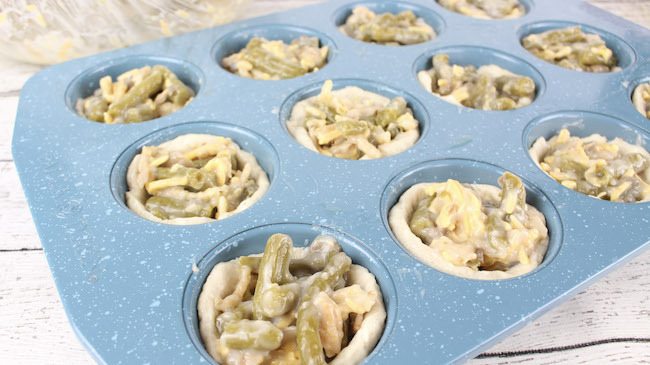 Spoon the green bean mixture into the muffin cups, filling up to the top of the biscuit dough. Bake for 20 minutes or until the biscuits are a light golden brown. Remove the muffin pans from the oven and sprinkle with the remaining shredded cheese and crispy fried onions. Add a sprinkling of pepper on top. Bake for an additional 3-4 minutes or until the cheese is melted.